Are you a teacher looking for a new way to motivate your students with exciting rewards? 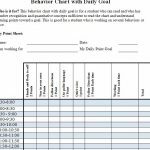 The free School Certificate Template is a cool way to create certificates to reward your students for their good behavior or excelling academic performance. 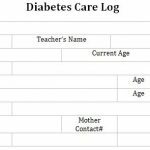 This document will give you a free certificate template that you can customize and edit to fit your teaching style. 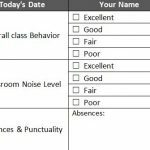 If you want to award students at the end of the year with “Best Attendance” or “Best Grade” certificates, then this document is exactly what you need to create a fun and exciting atmosphere in your classroom. To get started with, follow the instructions below. To download your new template, click on the link below. From there, the rest of the instructions are going to be a cake walk. Open the template file after downloading and take a look at the words already printed on the sheet. Start by changing the message. You need to customize the document so it says what the certificate is for. If you want to hand these out for good behavior, then write that down. You will also need to list your school in the brackets section below the initial message. You can choose to write your student’s name by hand or type it on your computer. Below the student’s name, you need to enter what the certificate is for in more detail. The template provides you with a silly example. Sticking with good attendance you could enter “Never Missed a Day of Class!” or something like that. Now, print the sheet by clicking “File” then “Print” above. The last thing that you need to do is write your signature on the line given and the date beside it. After following these steps, you should have a cool new way to reward your excelling students this year!